Utile Principal Matthew Littell was a guest speaker at BC High last week as part of the 7th Grade City Project, where students are completing a year-long urban planning exercise in the creation of their own city. 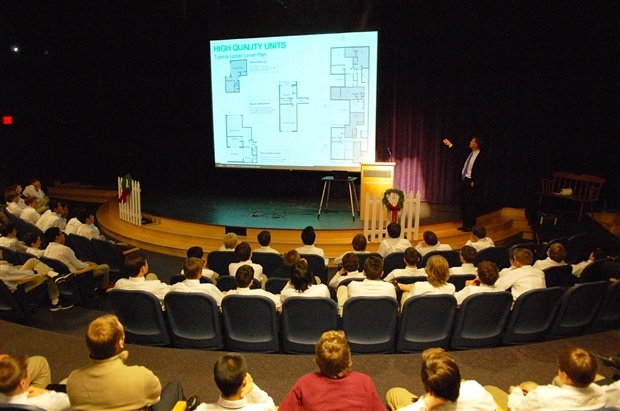 Matthew lectured on Smart Growth principles and spoke about his career in architecture and urban planning. Post-lecture, Matthew visited classes and consulted with the students on their City Projects.